The Accounting Standards Board (ASB) and Independent Regulatory Board for Auditors (IRB) gave briefings to explain their respective roles and functions, their contribution to the economy and their alignment to the National Development Plan (NDP). The ASB noted that its main mandates were to promote transparency in, and effective financial management of, Revenue, Expenditure, Assets and Liabilities, to set the standards for the Generally Recognised Accounting Practices (GRAP), and prepare and publish guidelines and directives on how financial statements must be prepared and accounts recorded. It was emphasised that reliable and accurate financial statements allowed for good decision-making, built investor confidence and boosted international credit ratings to the benefit of the economy. Setting of standards was achieved through a full consultative process with a number of entities, including the Auditor-General and Ministry of Finance. The differences between the GRAP and Generally Accepted Accounting Practices (GAAP) system were explained, and it was stated that some spheres of government were accounting on the cash system and some on the accrual system, with the change-over being problematic. However, this was not unique to South Africa, and ASB was contributing to discussions in international forums to resolve issues. Members said that they had not known of the existence of ASB before now, and suggested that . They asked for more clarity on the distinction and implications of using the cash or accrual systems of accounting, cited problems that entities seemed to have with recording assets, and asked what assistance in capacity building the ASB had offered, particularly to municipalities and Chief Financial Officers, and to raise revenue collection. They pointed out that municipalities might achieve clean audits, yet be plagued with service delivery problems and protests and said it was important to achieve a balance, and what mechanisms may address institutional shortcomings. They asked if any accounting standards tracked interest through departments to implementation agencies. ASB was asked to forward a list to the Committee of steps the Committee could take to increase efficiency and create more synergy. The Independent Regulatory Board for Auditors (IRBA) noted that various actors in the economy relied on audits to assess the extent and standard of operations and health of entities in the economy. It was stressed that IRBA was a regulatory body rather than a professional body for auditors, whereas South African Institute of Chartered Accountants was the professional body for chartered accountants. IRBA regulated the activities of auditors through legislation, and performed robust inspections using international standards that it would also have helped to shape. It believed that if the legislation was changed to allow IRBA also to regulate chartered accountants, this could reduce duplication of efforts, and create greater confidence in investors. South Africa was ranked first out of 120 countries in the audit landscape, but it was aware that transformation was an issue, with only 9% African auditors, and 260 broad-based black economic empowered firms. Audits tended to be dominated by four major firms, and there was a need to empower more smaller ones. However, transformation of the profession lay not with the IRBA but with the training and professional bodies. A dwindling number of auditors were entering that specific profession, possibly because of the rigorous ethical standards and heavy penalties for defaulters. Another problem was that IRBA was perceived by some countries as insufficiently independent of the auditing profession itself. Members indicated, similar to their comment on ASB, that they had not previously known about IRBA. They felt that there was an urgent need to address the lack of transformation, and asked for further clarity on the alleged over-regulation. They asked if bodies had any recourse if they felt that auditors had made unfair comments, and said that the perceptions about the role and function of the Auditor-General needed to be addressed. They asked whether tax practitioners were regulated, how IRBA helped with regional integration, and wondered why, given IRBA’s number one ranking, departments were still not compliant, and also asked how IRBA had managed to achieve this position and what lessons it could offer. They asked what budget IRBA received from National Treasury, and one Member suggested that government must take a firm and proactive stance in deciding what services it absolutely must support. - to prepare and publish guidelines and directives on how financial statements are prepared and accounts are recorded. The last function was particularly important since accurate financial statements and information allowed for good decision making. Reliable information based upon good accounting standards not only enabled proper decision making, but built investor confidence, boosted international credit ratings and was therefore beneficial to the economy. ASB emphasised that the setting of accounting standards happened very much in consultation with stakeholders and other state entities such as the Office of the Auditor-General (AGSA) and Ministry of Finance. GRAP was a new accounting standard, which not all government entities had adopted yet. Local government, for example, was already on the GRAP system but national and provincial government were still using the Generally Accepted Accounting Practices (GAAP) system. The implementation of GRAP also affected whether government accounts were based on a cash system or an accrual system. This had several implications for government balance sheets, and required greater training and support, as users did not necessarily understand how to use new standards or understand requirements. These findings were based on evidence gathered from post-implementation reviews. Municipalities were not always sure if they are acting as principals or agents, as they often provided services for provincial or national government. Other questions that caused uncertainty were how expenses should be provided for when performed by another entity, and how to account for social spending, under the new standards. However, the uncertainties were not limited to South Africa as these were questions common to other nations also, particularly the G20 countries. ASB was collaborating internationally in forums that were thinking through such challenges. ASB noted that it would appreciate assistance from the Committee in clarifying what kinds of information Members and other government departments would find helpful, and what kinds of information it was not necessary to include in annual reports. The ASB would like greater advocacy from the Committee in terms of capacity building for implementation of new accounting standards, the incorporation of the new standards, and public finance training at institutions of higher learning. It was noted that the ASB scope was wide enough if standards were also required for performance indicators, which were usually given in financial reports. The Chairperson said that there was, generally, some confusion about the accounting standards and asked what the difference between the accrual and the cash accounting system was. Ms Erna Swart, Chief Executive Officer, ASB, explained that when the cash basis system of accounting was used, transactions were recognised when the money was paid. Under the accrual basis, transactions were recognised when the goods or services had been delivered or rendered. This had wider implications, as, for instance, on the cash basis, leave days were not recognized. Mr Vuyo Jack, Chairperson, ASB, elaborated further that under the cash basis the transaction would only be recognised and recorded when the expense was actually paid. On the accrual system, the expense was recorded as soon as it had been incurred, despite the fact that no payment had occurred. This obviously had an impact on the balance sheet figures. Ms P Kekana (ANC) asked, in view of the change from GAAP to GRAP, what assistance in capacity building the ASB had offered to municipalities and Chief Financial Officers. She raised the issue of asset management and said that, in particular, she had seen difficulties with recording biological assets such as animals in agriculture and fisheries, and game in Eco-tourism, amongst many Chief Financial Officers (CFOs). Ms Kekana also said that the Auditor-General “punished” departments for inefficient revenue collection. The accounting standards should therefore help departments in this task. Again, she emphasised that as the switch-over from one system to another happened, it was critical to give assistance to CFOs. Dr B Khoza (ANC) questioned the concept of clean audits, and asked why it was so important. Many municipalities received unqualified audit certificates, yet on the ground were experiencing service delivery protests. This seemed to indicate that a clean audit did not mean that the institution was not failing in other instances. Furthermore, the way in which the standards were crafted did not seem to recognise progress and improvement. She asked if there were any initiatives or research done into the application of the new accounting standards. She cited the fact that many traditional authorities had major difficulties complying with standards. She said that, at the end of the day the Auditor-General would follow the standards set by the ASA. She further inquired if there was a standard that tracked interest when money received from Treasury by the Department of Social Development was passed onto the South African Social Security Agency, for example. Mr D Ross (DA) thanked the ASB for giving the briefing, but commented that although this was his second term in Parliament, this was the first time he was being briefed by it. The Chairperson interjected that this was a very valid comment. Many Committee Members were not aware of the existence of the ASB, and he said that it was “coming out of the closet” to reveal its work to the Committee. Mr Ross continued that if he had known of the existence of the ASB, and its contribution, he may have tended to contact the ASB, instead of the National Treasury, to assist with some of the accounting difficulties being experienced by municipalities in his constituency. Noting that some 38% of municipalities were not in compliance with the PFMA and Treasury regulations, he wondered what the ASB envisioned for the future and what its strategic plan was to assist. The Chairperson said that whilst he did not necessarily require a specific reply, from the ASB, to each of the Members’ questions, this discussion session was to help the ASB and the Committee to appreciate where they stood on issues, as well as to understand the financial management terrain and have a collective approach to problem solving. The Chairperson said that he himself was unclear what action was required from the Committee in terms of the National Treasury and asked, for example, when last the Annual Report of Treasury had been considered. The Chairperson agreed with Ms Kekana’s observations and said that one measure of how well the country was doing was to look at audit outcomes, but that this must be considered also in the context of overall performance. He commented that, looking across all spheres, local government in particular was “in a terrible state”. However, he made the point that this Committee was an activist one, and Parliament required it to come up with a programme to year-end. Members should apply their minds to some of the challenges in this regard. He asked ASB to give some indication of where institutional shortcomings were apparent, and asked what measures could assist in helping them. Mr Jack replied that there was already cooperation, and likened the work of the ASB, the National Treasury and the AG to “an orchestra”. He drew the analogy that ASB could be seen as writing the music and setting the standards as to how it should be played, National Treasury could be seen as bringing the band together and playing the music, and the Auditor-General to evaluating that music and saying whether it was harmonious and sounded good. The ASB would need to consider whether the standards were too complicated, and whether the end product still reflected the spirit of good standards. Mr Jack emphasised that a key role of the Committee was advocacy for capacity building, to ensure that CFOs were well-equipped to perform their task. Ms Swart answered some of the detail in the questions by Members. She noted that, in respect of the move from cash to accrual based accounting systems, the ASB had established directives on how to make the changes, which would have included statements on how assets should be recognised. Ms Swart agreed that clean audits were not to be seen as the “be-all and end-all” of good governance. Service delivery on the ground was equally relevant. She agreed that municipalities, such as Middelburg, had received clean audits yet service delivery protests raged in that district. Ms Swart agreed that work was needed on how financial statements and reports were interpreted, and cost- benefit analysis were key in this regard, as too great a focus on getting a clean audit might be taking money and effort away from achieving service delivery objectives on the ground. The Chairperson suggested that it would be helpful if the ASB forward a brief list to the Committee, detailing six to ten steps the Committee could take to increase efficiency and create more synergy. He stated the Committee would contact ASB also when Members came across municipalities in need of support in the financial area. The representatives for the Independent Regulatory Board for Auditors (IRBA) clarified the role and importance of audits. Various actors in the economy relied on audits to assess the extent and standards of operations and the health of entities in the economy. It was clarified that the IRBA was not a professional body for auditors, and its primary role was not to protect the auditors’ profession, but rather to protect the public, by regulating the activities of auditors through legislation. IRBA performed robust inspection and adopted international standards, which it would also have helped to shape. IRBA also supported auditors, in the sense that it was responsible for educating and registering auditors. It did not regulate accountants, and could not do so until the legislation was changed. However, IRBA suggested that its regulation of accountants would reduce duplication of efforts, and create greater confidence in investors, pointing out that lack of confidence in financial professionals and the quality of financial statements and recordal would hinder investment. The IRBA thus contributed to economic growth. South Africa had been ranked number one out of 120 countries in the audit landscape, according to the Global Competitiveness Report, and received an international award for its strength of auditing and reporting standards. However, an issue that needed to be addressed was transformation. There were currently approximately 4 300 registered auditors, of whom 78% were white, 11% Indian, 9% African and 2% Coloured. The number of Broad-based Black Economic Empowered auditors firms was sitting at only approximately 260. Another issue was the dwindling number of auditors entering the profession. There were approximately 3 500 registered trainee auditors, per annum, when compared to a pool of approximately 37 000 Chartered Accountants. One of the deterrents to young Chartered Accountants who might be wishing to enter the profession was that there was stiff regulation and penalties (up to 10 year prison sentences) imposed on transgressors of standards and ethics. The IRBA would take disciplinary measures against any auditors who acted fraudulently. The need for independence of the auditor was another concern. There were registered auditors on the IRBA, which impacted negatively on the perceived independence or impartiality of the IRBA, as it was suggested that these practising auditors would have a direct and vested interest in influencing regulation or inspections. The USA, for example, did not recognise the IRBA as wholly independent. 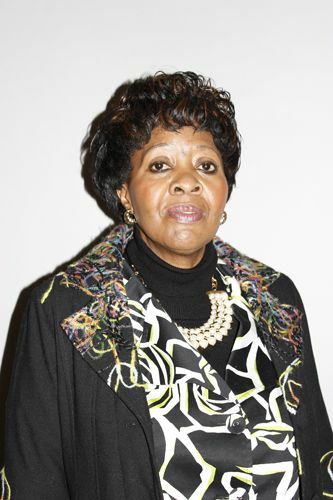 Dr Khoza objected to the lack of transformation in the auditing profession and branch, as seen by the figures quoted by the IRBA; stating that “such a state of affairs is absolutely pathetic” and said that the IRBA needed to address this. Dr Khoza asked what the regulatory situation was at present in respect of the Chartered Accountants, and whether the IRBA had struck any Chartered Accountants off the register for failing to adhere to compliance issues. At the same time, she expressed sympathy for professionals, as she felt that they seemed to be over regulated. Ms Kekana said the most important issues highlighted in the presentation were the legislation that needed to be amended and the registration of more people, that should be fast tracked. However, equally important was the need to ensure the independence of auditors, and the recourse by entities who had received qualified audits, as she asked what entities could do if they felt they had been treated “unfairly” by the auditor, as the question of the audit result could be played out in the public domain and affect its reputation. Ms Kekana felt that there was similarly a problem with the AG being perceived as “a whip to crack” over officials. Internal departmental audits did take place, although there was sometimes a perception that they did not. The perceptions of roles needed to be corrected. Mr Ross congratulated the IRBA on achieving first place, internationally, for strong auditing reporting standards. He asked whether there was a case to be made in terms of the comment about possible over-regulation, and whether this was also linked to concerns about tax practitioners. Mr D Van Rooyen (ANC) said that it was the first time he had heard of the IRBA. He believed that the complaint of over regulation was one blown out of proportion. Mr Van Rooyen asked what IRBA was doing to add value to regional integration. He also inquired what the IRBA was doing to further transformation. The Chairperson said that there was a significant amount of African accountants, yet they were presumably not becoming auditors. He asked why that was the case. The Chairperson said that he was surprised that, given that IRBA was presently ranked number one in the work, this was not reflected in the outcomes that departments were achieving. He assured that IRBA not to get any idea that the engagement with the Committee was a way of “using” Parliament against the Executive, an requested that it write a letter within 48 hours to the Committee, stating what the Committee could do for the IRBA, and explain how the two could best cooperate. Finally, he asked what budget IRBA received from National Treasury, and its composition. Mr Bernard Agulhas, Chief Executive Officer, IRBA, said the IRBA also used PMG reports, and that PMG was “fantastic”. Mr Agulhas then answered questions by Members. He said that the role of the IRBA in achieving transformation was minimal and it could not in fact do so, as this fell outside of its mandate and resource pool. The IRBA only cooperated with the South African Institute of Chartered Accountants (SAICA) and it was within that professional body and other entities that the drive for transformation should happen. However, IRBA was a signatory to the B-BBEE Charter. It did also have a transformation committee, headed by Ms Nkuleleko Gobodo, which tried to influence the pace of transformation, and this was done also through its sub-committees for students and for articled clerks. Mr Agulhas also explained that the registration and accreditation of Chartered Accountants fell under SAICA, the professional body that operated much like a trade union for chartered accountants. Any complaints against existing Chartered Accountants were taken up and investigated by IRBA, as the regulatory body. Mr Agulhas agreed that some audits were possibly performed for the wrong reasons, but insisted the IRBA would not participate in such exercises if it was aware of the reasons. Mr Agulhas clarified that the “over-regulation” that auditors complained about related to the ethical standards. He noted that IRBA was quite under-capacitated, with 70 staff members. It was funded by National Treasury, being allocated R70 million, of which 50% or more was spent on staff remuneration. This was set to become an even greater challenge as the IRBA would soon not be funded by Treasury. However, this must be seen in the context that South Africa as a whole was professionally under-capacitated. Four large firms dominated auditing and should any of them fail, it would be unaffordable for the country. There was a need to strengthen the smaller firms, and auditing monopolies needed to be broken. Mr Agulhas noted that he believed that the IRBA could assist and cooperate best with the Committee and government departments by explaining the roles of various financial institutions and interpreting standards. He explained, in answer to questions on international and regional integration, that the framework was drafted in the public interest, and the IRBA had had input into that, and that National Treasury, the World Bank and the Minister believed the IRBA should be supporting African audit development. The World Bank was willing to fund such an initiative. Furthermore, the Minister wanted all auditors to be registered as tax practitioners, as tax practitioners were not, at this stage, regulated. Mr Agulhas noted the Chairperson’s question as to why, when South Africa was ranked number one in audits, the outcomes on the ground were so often poor and he argued that one of the reasons might be that South African and IRBA standards were such that irregularities – consequently poor performance – were being highlighted. Dr Khoza stated that bodies such as IRBA should not have to be worried about or have to raise funding for their continued existence. This detracted from their core mandates and independence. She suggested that government should be recognising that some functions were absolutely essential for government to fund. She thought that this was maybe one of the reasons for lack of transformation and said that it was an issue that the Committee must look at seriously. Mr Ross suggested that maybe the regulations and penalties should be reviewed so as to address the shrinking population of auditors. The Chairperson asked what lessons the IRBA, from its position as number one in the world, could offer to other bodies. Mr Agulhas replied that the IRBA was able to harmonise the public and private standards, and to integrate local and international standards in 1995, recognising that it was operating in an international globalised environment, in which separate “patriotic” stances had no part.